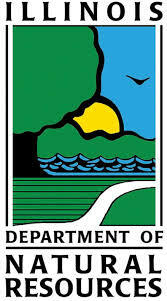 Last Thursday night the Horner Park Advisory Council presented our case for proceeding with USACE’s riverfront restoration to the Illinois Department of Natural Resources who decide on the permit application for the project. We remain resolute in the conviction that this project will benefit plants, wildlife and future generations of Chicagoans. This restoration project was conceived nearly fifteen years ago in response to a number of problems that persist to this day. The objective of this plan was, and still is, to stabilize the riverbank, enhance wildlife habitat, store stormwater runoff, replant native plant species, create recreational opportunities, improve public access, and open views from the park toward the river. USACE’s latest plan addresses these major objectives and is worthy of our support. We heard opponents of this plan voice their concern about endangered species, use of herbicides, maintenance of the new landscape, and IL DNR’s meeting notification procedures. HPAC believes that these issues should be and can be addressed by the parties responsible for the design and regulatory oversight. 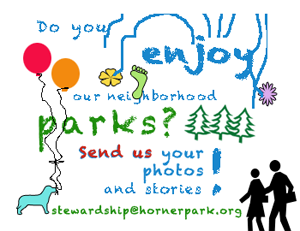 We look forward to the day that this project can finally be realized, and we wish for a successful conclusion that will benefit everybody that enjoys Horner Park. All public comments must be received by the end date shown on the notice. Any person asserting that a specific action does not meet federal consistency must specifically reference the state law or laws that would be violated. All persons submitting objections will be notified of the Department’s final decision. Comments can be sent by email to James.Casey@illinois.gov or by mail to: James P. Casey, IDNR/OWR, Michael A. Bilandic Building, 160 N. LaSalle Street, Suite 703, Chicago, Illinois 60601.